Opened as a music hall in December 1911. Architect was James Miller, and there was seating for 2,000 in three circles. 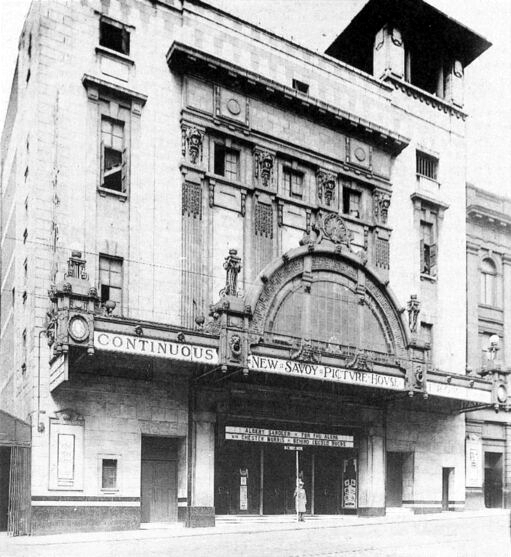 Converted to a cinema for the Biocolour Circuit, December 1916 by architect George Boswell. This involved removing the stage and building a new proscenium further back, as at the Coliseum. Sold to Gaumont, 1927. Modernised, August 1934. From 1935, it featured a 2/7 Christie Organ, originally installed in the Tivoli in Partick from 1929-1935, then installed here until closure in 1958. The instrument was purchased (when the New Savoy closed) by Doctor H. Cooper Ward of Edinburgh, and broken down for parts. The 8' Tuba rank and its 16' Trombone extension were purchased by Hugh Graham (an Edinburgh organist) for installation in a church in Grangemouth. Closed in September 1958, the building was converted to the Majestic Ballroom. The foyer was removed and kitchens ran at the back right up to the main doors. The entrance was moved to a small doorway to the right of the main facade. The lane to the left was utilised, the auditorium being extended sideways into the space. The main girder of the first circle was retained, but most of the rest of it removed to provide the smaller balcony. Everything else hidden above a suspended false ceiling. 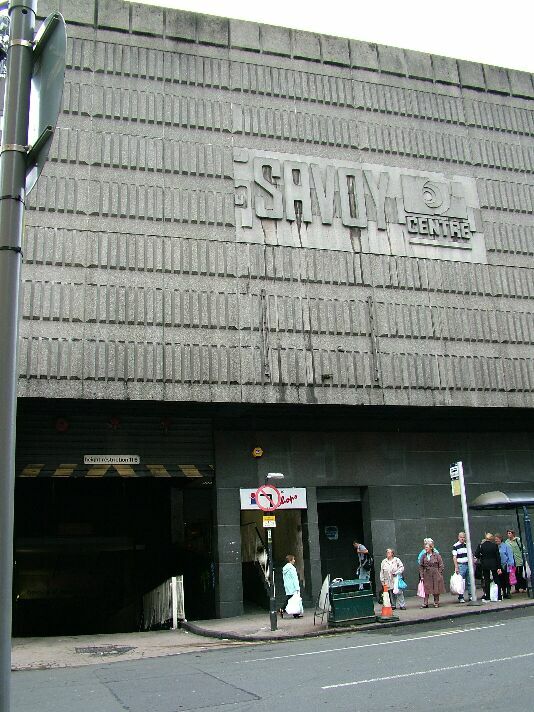 The ballroom closed in January 1972, and the building was demolished to make way for the Savoy shopping centre.